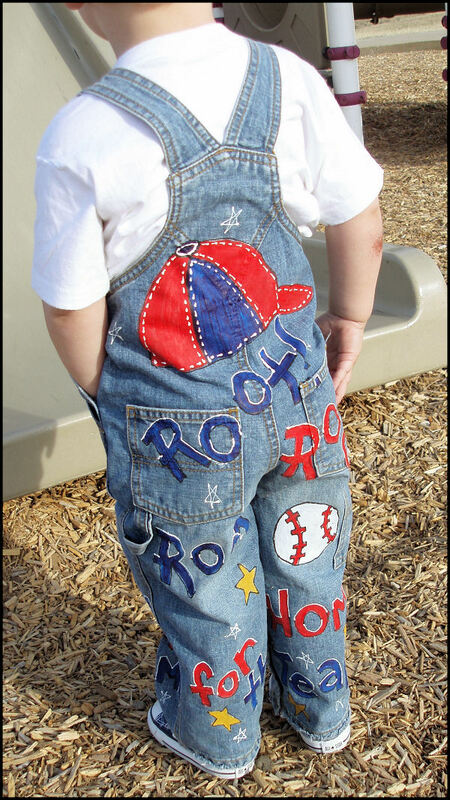 Catalog > Custom Painted Overalls for Boys-- BaseBall! Take him out to the ball game in these precious custom hand painted baseball overalls. Super fun to wear, and painted in those great patriotic colors of red, white, and blue. You can't go wrong with baseball for the 4th of July or any other day for that matter. These can be customized with your little players name on them, or even for his birthday. Just let me know what you would like on them in the custom requests section.